The winner of THE BLACK HOUR is mauisun411! Email Hank h ryan at whdh dot com with your address--and congratulations! HANK PHILLIPPI RYAN: It's Saturday morning, and as we learned yesterday from Lori Rader-Day, there'll be no more binge-watching of cartoons. But that just gives us more time to listen to a great story. A story of a different kid of childhood. Maybe--with no cartoons. Today Lisa Alber spins us quite the intriguing tale. Again, about being at a certain place at a certain time. A tale of her childhood, and how it haunts her dreams today, and how it changed her life. Picture this: Six-year-old Little Lisa (LL for short) sits on an olive-green recliner. She’s waiting to walk to school with an older neighbor girl, Laura Parrish, who is in fifth grade. Every day LL tries to slip past Laura’s house by skulking behind parked cars. Sometimes she makes it and gets to walk to school alone even though she’s too young for that. Most often, she’s caught out and banished to the gloomy living room while Laura finishes her breakfast. The musty curtains are always closed, the shag rug always un-vacuumed. LL makes a game of bouncing her hands off her thighs in different rhythms. It’s hard—her hands want to sync up—but over time she improves. She does this so she doesn’t have to think too much about who’s down the murky hallway. The scary brothers just home from a war in Vietnam. There’s something wrong with them, something wrong with the mom who plays guitar and sings “Raindrops Keep Falling on my Head,” something wrong with the buttoned-up businessman dad, and, most of all, something wrong with Laura, who pees her bed. Of course, Little Lisa doesn’t know this consciously; she senses the wrongness of everything about this house. Knows that this house is in some fundamental way not a safe place for little girls. Wow, Hank, when you asked me to write a post for Jungle Reds, I expected to keep it light. This memory arrived instead. But at least I know why. It’s this: The other day I got to thinking about the inevitability of me writing mystery/crime fiction rather than, say, romance or women’s fiction. Inevitable because the mystery of Laura has followed me around since I was a kid. To this day, for example, I dream about murky, inescapable houses when I’m under stress. It’s my go-to anxiety dream. As for my writing, I gravitate toward stories about families with secrets. I often incorporate moody buildings—or some other thick, cloying environmental factor—in my stories. And since my first impression of the world outside my home was one laden with danger, I guess it’s not surprising that I’d write stories about dangerous situations. I’ve tried to find Laura over the years. Every once in a while I Google her name. About a decade ago, I visited the old neighborhood and realized that I’d remembered her home address, 5 Dellwood Court, but not my own. I knocked on the front door, hoping that somehow a Parrish still lived there. Where’s Laura? I’d ask. What’s she doing? Did she end up OK—or a drug addict—or worse? And, most of all, what the hell was going on in her effed-up household?!? There was even the time about, oh, eight years ago when, in a fit of despair, I set aside what would become my debut novel, Kilmoon, and started a new piece, in which, yes, I tried to solve the mystery of Laura through fiction. Writing that novel led to the revelation that I’d suffered from PTSD as a child. Seriously. Is that crazy, or what? Am I sad or bitter about my less-than-bucolic early childhood? Nah. I’m fascinated. I’m fascinated by psychology, in general, and by how we become the adults we turn out to be. 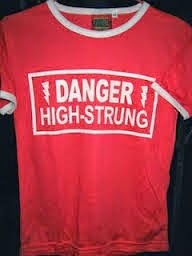 I can be anxious and high-strung—you spend enough time in an oppressive house in which amputee’d, drug-addled men (with PTSD no doubt) jump out of closets at you—well, so it goes. In the end, Laura was probably as big an influence on my early development as my parents. For all I know, I have Laura to thank for my writing life because while I sat on that dingy recliner bouncing my hands against my thighs, I used to sink deep into other worlds. I Iived in imaginary worlds. So, thank you, Laura. I hope you’re OK out there somewhere. You’re still the mystery I would most like to solve. Jungle Redians, do you have a life-long mystery you wish you could solve? Or some remnant from your childhood that still follows you around? How do you think this influenced your development—and writing life, if you’re a writer? HANK: Well, I still watch for tornadoes, as I used to when I was a kid, all the result of Wizard of Oz, of course. I dream of houses, too, but they are lovely. Which I think makes yours even more fascinating. But you know as a writer, I always worry when I can't give someone a happy ending, or when I have to write about someone saying goodbye. I know, absolutely, where in my childhood that came from. Californian Merrit Chase travels to Ireland to meet her father, a celebrated matchmaker, in hopes that she can mend her troubled past. Instead, her arrival triggers a rising tide of violence, and Merrit finds herself both suspect and victim, accomplice and pawn, in a murderous game that began thirty years previously. Family secrets, betrayal, and vengeance from beyond the grave—Merrit has just discovered her long-lost father. This first in Alber’s new County Clare Mystery series is utterly poetic … The author’s prose and lush descriptions of the Irish countryside nicely complement this dark, broody and very intricate mystery. In her moody debut, Alber skillfully uses many shades of gray to draw complex characters who discover how cruel love can be. 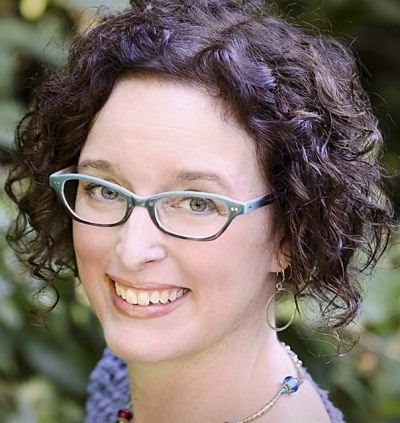 Lisa Alber received an Elizabeth George Foundation writing grant based on Kilmoon. Ever distractible, you may find her staring out windows, dog walking, fooling around online, or drinking red wine with her friends. Ireland, books, animals, photography, and blogging round out her distractions. Lisa lives in the Pacific Northwest. She is currently at work on her second novel set in Ireland. Wow, somehow I wish you'd said you found Laura and knew the answers to those questions . . . .
Granted, it's a horrible situation for a very young child, but in its own way it's really quite a sad memory. Now, I don't have any life-long mysteries to solve, but I do enjoy reading the books that come about because someone else does . . . .
Congratulations on your debut novel, Kilmoon. I loved it. Do you have another coming out soon? I hope so! The mystery I would like to solve most is where are my half brothers and sisters? What happened to them? Wow, Lisa -- that's intense. I also have dreams of abandoned houses. Family secrets are my all time favorite thing to write about too, Lisa. Or rather I always seem to go there no matter where I start. I grew up in a family where everything was always perfect...on the outside. And the thing that's so fascinating, too, is that the real outcome of her life may have been wonderful--she;s happy somewhere, in, Des Moines (or wherever) with kids and kittens and happily married. Or she's running a big company in Silicon Valley. Or she's an author, and writes novels about the wonderful thoughtful girl who lived down the street--and whatever happened to her? And yes, do tell us about your new book! I rarely comment on Saturdays, but I saw Lisa was here on FB so I popped over. I really enjoyed KILMOON and look forward to the next. I thought your use of the church was excellent and a very mystic, haunting place it was. I'm looking forward to learning more about Danny. I don't know that I gravitate toward anything in my own writing - maybe complex relationships and characters dominated by a sense of responsibility? Is that from my childhood? Not sure. Maybe. As the eldest, my parents always assumed I'd do "it" whatever "it" was (watch my siblings, go to the grocery store, run said siblings around once I got my drivers' license). Dreams are something else - they tend to be incomprehensible (buying replacement tires from one of my taekwondo instructors at the McDonald's drive-thru - anyone want to take a crack at that one? LOL). During my childhood, a woman down the street killed herself, leaving two young children in the house with her for several days...oh yes, that has definitely haunted me--and turned up in my writing. Lisa, I'm struck by not only the story, but how perfectly you've written it. I was hooked by the first sentence! Lisa, for such a young child, you had a finely tuned self preservation instinct. Looking forward to reading the book, and hoping that Laura made it out of her childhood intact, and with a happy life now. Children are so vulnerable, aren't they? What a great and scary story. I grew up in a big old house that I was sure was haunted. Windows blew open, rugs flapped and I often dreamed of a procession of hooded figures coming up the stairs toward me. And lonely. I credit this with my own imaginary worlds. And Hank--your dream house is lovely because in dream psychology it represents you! Oh, Rhys..that's so reassuring! Thank you. We had a kid next door who was so strange--and then, he burned down our barn! ANd all high school classmates, spread out over the world now, and never to be heard from again. So strange. **The winners of WOULDN'T IT BE DEADLY are Trudi G and Jody Crocker! Email hank via her website http://www.HankPhillippiRyan.com or via Facebook @HankPhillippiRyanauthorpage with your address! Getting started late-ish here since it is Saturday -- and I'm on the west coast. Joan--I wish I'd been able to say that too! I guess that's why Laura still haunts me to this day! Coffee's going -- be back in a few! As for me, my childhood was shaped by constant moving, always being the new kid, always learning how a new place worked, having to leave behind friends again and again. The longest I ever lived in one place was 4 1/2 years in Argyle, NY, and it is that town that forms the basis of my fictional Millers Kill. HI Susan -- I'm sitting here with my coffee bleary-eyed, thinking, man, that is a little intense for a nice Saturday morning. Hah! Hallie, the family stories you've shared on JRW fascinate me -- every family is peculiar in its own way (some worse than others). Isn't there a saying about that? As a matter of fact, Hank, in the novel, The Mystery of Laura (actual working title), which will never see the light of day, Laura does end up in Silicon Valley! Well off and with a "perfect" life (except for her demons, of course). I'm the oldest child too (which is why I was around the early neighborhood so much -- crazy 70s and my mom busy with my younger sisters) so I totally get the responsibility thing. I think there's something to birth order. What do you think, Reddians? Birth order on our development? Kilmoon is out now? Hooray. I've been waiting for that one! I find myself wondering sometimes what happened to some of the kids in the neighborhood. My brother is convinced one of them probably wound up in prison. We both had a really scary 4th grade teacher. I was a mess that year, she was so awful.I wonder how many serial killers she produced. You asked about my second novel? Sure! Called GREY MAN for now, the second novel continues the story of Merrit Chase, newcomer to Lisfenora village, Ireland, and Detective Sergeant Danny Ahern. Whereas KILMOON was mainly Merrit’s story, the second novel will be Danny’s. After a teenage boy dies in Danny’s arms, he finds himself matching wits with a man who doesn’t seem to exist . When the violence hits too close to home, he must figure out the connection between a mute women with traumatic amnesia, a hermit jewelry designer, and a second dead teenage boy. Wish me luck with this revision -- it's about doing me in! Wow, Lucy, that would haunt me too. Unimaginable. I hope those children are OK in life now. Hi Karen in Ohio -- thanks for saying that. It's funny, those self-preservation tactics never really go away ... But now I see them for what they are. Wow, hooded men coming up for you, Rhys? Yikes! You were destined for the mystery genre too! Lisa, wow that was a real life mystery. I forgot about a mystery from my childhood until I read your story. When I was a young child, we had a family dog. He looked like the dog from the movie about babe the pig. I came home from school and my dog had disappeared. I never found out what happened to our dog, though I heard many different theories. Wonder what happened to Laura. Your mention of Vietnam makes me wonder if they were a military family moving from base to base? Congrats on kilmoon and the second book. On midsomer murders tv show, there is a story about the green man. Lisa, really, it gives me the shivers, thinking of how aware you were at the age of SIX. Not many children are, so that was remarkable. Hank -- you gotta wonder what a kid who burns down a barn ends up being -- maybe he's a fireman! And yes, I am the older child, too. Birth order. ALL about birth order! Aw, Diana..sad. SO very sad. oxo And so fascinating that you remember it so clearly. Lisa, wow, now that's a mystery that needs solving. Fascinating story. Lisa! I have dreams about houses, too. But usually, I'm finding an undiscovered room or floor (mostly basements). Lisa, I've been reading ABOUT Kilmoon for so long! It's great to hear that I can finally read it; I do look forward to that! I'm the eldest of five. I have never stopped feeling responsible for WHATEVER, especially the welfare of The Youngest, who has numerous disabilities. But some years ago I realized that the best way to handle my super-responsible tendencies is to just laugh at myself when I start feeling overly responsible! 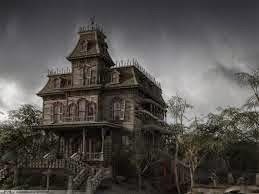 There's a Victorian house that often appears in my dreams. In the dream, I am usually trying to find a safe haven from something - I dreamed about this house a lot right after 9/11. When I was in high school my family moved to a duplex apartment in a Victorian era house, and I LOVED that house. I loved the nooks and crannies, the fact that it was built in the 1800's (I love history), and the fact that it was within walking distance of so many places. Of all the places where I lived as a child, that's my favorite. But the funny thing is that in many of the dreams I have about it, I walk inside and instead of seeing our apartment, I find numerous tables set up with craft items for sale. Most of the vendors are little old ladies wearing the kinds of dresses my grandmothers wore. There's a section roped off where people can have a cup of tea, with some goodies. I don't understand it, but it's kind of fun to try to remember the details when I wake up! So, Mollie, now I'm curious -- are the rooms scary finds or exciting/happy finds? Maybe I'll bring up this topic on your Facebook party! Thanks, Deb! Many oldest children I know have chosen not to have kids -- I wonder why? :-) I love your house dream -- isn't it interesting that so many of us have them? Yours sounds like a nice dream--maybe it's your go-to place when your psyche is trying to manage tension? We all need sanctuaries, even in our dreams! Oh, I SOOO want to know your mystery! Sounds like fodder to me! I think the traumas we endured as children shape our writing. Your article today touched me deeply, and explains why I dream about either being lost of escaping from houses in my dreams. This is such a great blog, Lisa. You are going to have so many fans and followers who also like to uncover secrets. We moved often when I was a kid, so I guess I learned to move on to new people and new friends at a young age. Aww, Sherry, that is so sweet of you to say. In truth? Before sending the post to Hank, I hesitated. I even wrote her, Is it OK that I went kinda dark and personal? A momentary bout of self-doubt. (Which might go to the anxious/high-strung thing I mentioned above :-)) But it's all good -- I'm so glad to be here today! We're so honored to have you, dear Lisa! And you can see how it's touching so many people. Larry, DebRo--so fascinating! ANd chilling..
Sherry Joyce, you are SO right! SO lovely to see you all today! And may we have a tiny commercial break? THE OTHER WOMAN (which won the Mary Higgins Clark award, as you may have heard :-) ) is now just $2.99 is all e platforms! But not for too much longer...so now's the perfect time! Larry! That's a happy ending, and mysteries with happy endings are so appealing. Bad guy caught, the world saved! I found old homes fascinating when was a child. The history of what happened in that spot years ago always caught my imagination. Still, I catch myself wondering about the stories locked behind those walls. Congrats on Killmoon and it is on my must read list. Birth order, for sure. I am the big sister and don't you ever forget it. I'm also the Big Cousin lol. What an experience for a 6-year old. Always a jolt to realize (again) that most families are a little weird and have stuff going on that we don't see. And that children are so aware. As a child I always felt like I was the kid from THAT family, never occurred to me that all the others weren't as perfect as they look. Jim, thanks! I always wonder about the stories old houses carry also. There's something ... Hmm ... If I were a Jungian I'd talk about the collective unconscious. There's a reason why haunted house movies never go out of fashion. Homes and secrets go together. Lisa, unfortunately, Hank is right. Something that I learned at this year's WPA. Studies have shown that teenage repeat fire-starters grow up to be serial killers. One of the three signs, right? I forgot the other two signs ... animal cruelty ... bedwetting? Animal cruelty, yes. Not sure of the third. Amazing how the emotions surrounding old memories influence us so many decades later. Lucky for us, you turned those scary feelings into the lovely moody Kilmoon. Thanks for popping in, Cindy! It's really true about old memories. My doctor was telling about how the 0-6 age range is so crucial. Our little brains are sponges, absorbing and processing everything on every level -- subliminally, consciously, etcetera. Lisa, I was hoping you'd found Laura, too. What a mystery setup you encountered in her family and her house. A little scary, too. I'm glad you escaped from that setting the next year. I can see where the situation was certainly an impetus for the mystery writing imagination. It's interesting to think back on the mysteries or odd happenings in one's life. I can think of several I'd like to know more about. For example, when I was very small, around 2, someone broke into our house via the back door to the kitchen. We must have just moved into this house, as I was two when we did, and my crib was in the hallway to the bedrooms at the time. Apparently the intruder walked past my crib, but my father woke up, and the intruder fled. The police never did find out who it was. I would like to know who it was, why he (don't believe it was a she) did it, and what he had hoped to find or gain. My whole life I have had a recurring dream about that back door not being fastened probably and not being able to secure it. Come to think of it, I have had dreams about the back doors wherever I've lived not fastening properly and leaving me vulnerable. 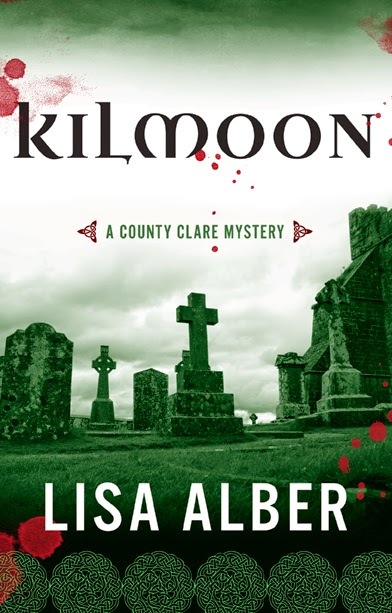 Lisa, I have had Kilmoon in my sights for a while, and I will now be adding it to my TBR pile, plus The Grey Man when it is published. Yes, CIndy...lovely to see you! Isn't it amazing how old memories keep coming back, and how intense they can be? From all these comments, I can see I'm not the only person who thinks so! Lisa, yes you would think it would be easy, and I work on it each day. I don't know their names, however. I never met them, that I know of. Although I saw a photo online of a woman who looked like she could have been my identical twin. The resemblance was so close I thought it was a picture of me. I was unable to connect with her. I grew up as an only child but in fact had siblings I was unaware of. I have no proof just a set of very strange parents and evidence that has only come out recently. After both my parents died, my aunts started to talk and tell me things. I have taken 2 DNA tests that don't add up, but I'm not sure that's significant. One of my boy cousins is having his DNA done, so we can cross check the areas we would expect to have in common. I have been living my life, sorting it out, and trying to survive and be creative. Thank you for taking the time to respond to my comment. I know how busy you must be, and I am very happy for you. Reine, as we always say, you are endlessly fascinating! Lisa, thank you for a wonderfully thoughtful day. You'll come back for your new book, we hope! You are ALWAYS welcome--and we cannot wait to hear! HI Kathy -- I with Hank, this is incredibly disturbing. Was it one of the neighbors your family ending becoming friends with ? I didn't realize you didn't know their names, Reine. That definitely makes the Internet pretty much useless. I hope you find them! Thanks for having me, Hank! I always welcome a chance to be Red for a day. So fun! Now, just gotta get GREY MAN finished! Thank you for sharing that memory from your childhood. You can only wonder at the many things families keep secret--and beyond that level of "kept" secrecy, those things within and between people that are secret and mysterious by their very nature. It's your sensitivity to those things, regardless of your age (although I think those impressions can be more overwhelming during childhood), and your willingness to seriously consider them, that make fiction writing a natural outlet and an art that you excel in. It's always good to see you in our "high probability random encounters" (Steve). Can't wait to find out how Kilmoon concludes--I'm on page 230 now! John! What a thoughtful comment -- thanks so much! I love the way you phrased this: "those things within and between people that are secret and mysterious by their very nature." Twizzlers and Red Hots and Mounds, Oh my! The TRUTH about TRUTH BE TOLD!